No.6, one of New York’s most beloved style emporiums and brand, has opened its extensive vintage archive to create No.6 Vintage Archive & Marketplace at No.6 Centre Market Place, while expanding the original No.6 flagship store two doors down to a new and larger home at No.8 Centre Market Place. 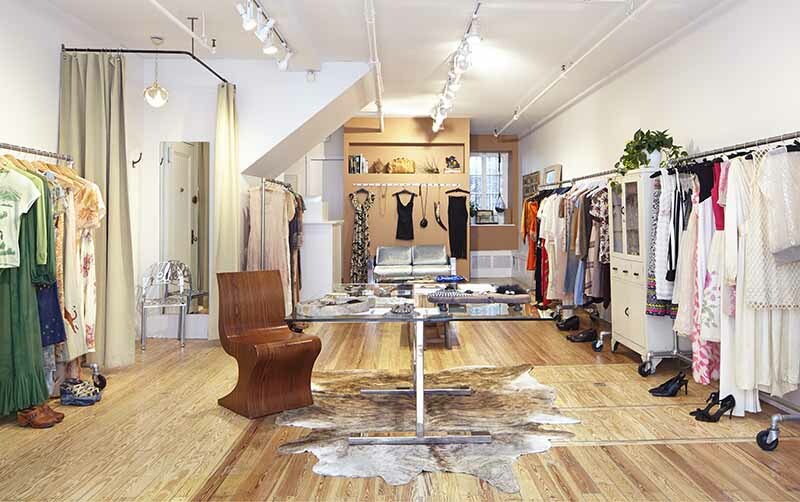 Unlike most vintage stores, No.6 Vintage Archive & Marketplace offers a highly curated selection of pieces in an open, airy and uncluttered space. The store is so unique, it may take an unassuming shopper by surprise to learn the store is actually vintage. With muses like Francoise Hardy, Faye Dunaway, Talitha Getty, and punk-gamine Patti Smith, Karin has created a collection of beautiful and rare pieces thoughtfully selected to perfectly complement the items that surround it. Most importantly, each piece can be worked in today’s wardrobe and worn in a completely modern way. And like each piece in No. 6 Vintage Archive and Marketplace, the store itself is a historic space with a storied past, as it was once the oldest gun shop in America that counted former speakeasy Onieal’s and famed photographer Weegee, who would often shoot footage of local crimes from his window, as its neighbors. Apropos to the new space, Karin stripped the floors to reveal the stunning and original floorboards from 1842. Even the polished yet eclectic décor has a story to tell, with items ranging from old displays plucked from Bergdorf Goodman’s visual vault to pieces of old wooden utensils and pottery over 100 years old. With the No.6 Vintage Archive and Marketplace taking its place, the new location for No.6’s flagship up the street at No.8 Centre Market Place offers a more grown-up and polished version of the original store, while still remaining extremely comfortable and inviting. Karin worked with architects Aaron Schiller and Colin Cleland from Schiller Architects to elevate the space, while still sustaining the comfort of the store and brand. The massive front windows create a flood of natural light, while two distinct seating areas and an outside garden offer enjoyable and relaxed reprieves. Even with the new polished location, Karin still kept the worn-down tiles and paint splattered floor left by the previous artist tenant, befitting to the No.6 brand.